Hello! 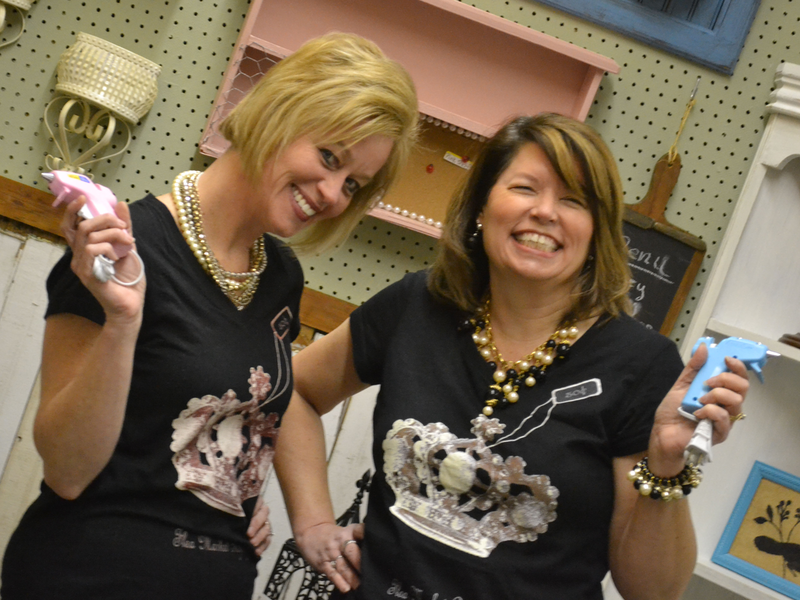 We are Cathy Whitehead and Alice Collins, otherwise known as the Junkin’ Junebugz. We met in November 2011, and it didn’t take long for us both to realize that we were kindred spirits and share the same craving for crafting. In March 2012, we opened our booth at LOT 2540. Even prior to opening our booth, we enjoyed going to thrift stores and rummaging through warehouses, barns, old houses and, of course, the gold mines located on the side of the road – all in search of treasures. We love to breathe new life into things that truly were once thought of as outdated or even trash. Though we both have the same taste in design, we also have the ability to look at a piece and see different ways to change it. It is exciting when we bring items up to the booth, and we see what the other one has created. We are both married and busy with full-time jobs while raising families. Many people would say our crafting is a hobby, but at times, it becomes an addiction. So much is being tossed away that could have a second life. We hope that you will come visit our booth and find something that speaks to you. We feel blessed by God for the opportunity to do what we love while sharing it with others and at the same time, giving back to help those in need.